Below you fill find all funeral homes and cemeteries in or near Jersey Shore. Suburbs of Jersey Shore: Crawford, Larrys Creek, Larryville, Leetonia, Oriole, Piatt, Ramsey, Rauchtown, Ross Siding, Salladasburg, Tomb. Jersey Shore is also known as: Lycoming County / Jersey Shore borough. Their current mayor is Mayor Dennis Buttorf. Zip codes in the city: 17723, 17727, 17740. Wayne P Urbine Funeral Home Inc. Some of the notable people born here have been: Robbie Gould (american football player). Jersey Shore is a borough in Lycoming County, Pennsylvania, United States. It is on the West Branch Susquehanna River, 15 miles (24 km) west by south of Williamsport. 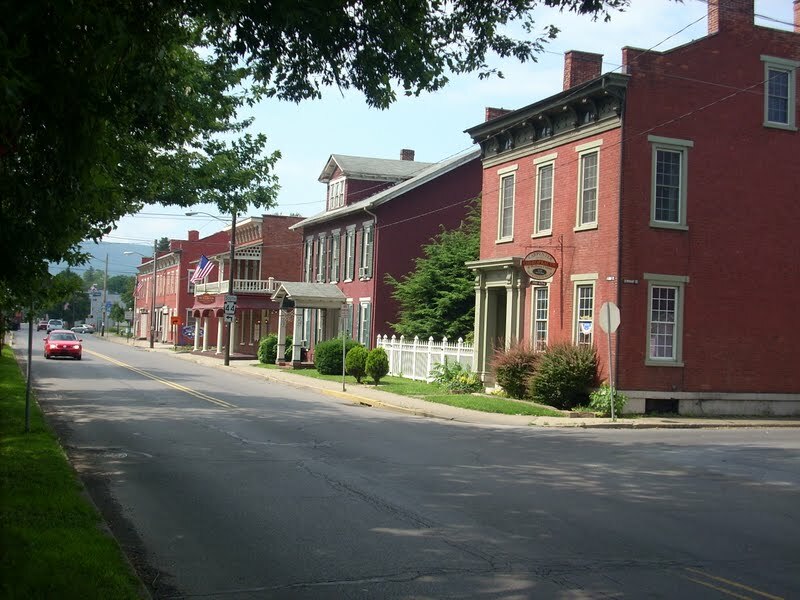 It is part of the Williamsport, Pennsylvania Metropolitan Statistical Area. In the past, Jersey Shore held farms, railroad shops, cigar factories, a foundry, and a large silk mill. In 1900, 3,070 people lived there; in 1910, 5,381; and in 1940, 5,432. The population was 4,482 at the 2000 census. It was revealed by Star-News on April 27th, 2018 that Mary H Hobbs (Hanford) died in Wilmington, North Carolina. Ms. Hobbs was 87 years old and was born in Jersey Shore, PA. Send flowers to express your sorrow and honor Mary H's life. It was reported by The Daily Herald on April 5th, 2018 that Reba McClernon (Marks) passed away in Montgomery, Illinois. Ms. McClernon was 85 years old and was born in Jersey Shore, PA. Send flowers to express your sympathy and honor Reba's life. It was revealed by San Antonio Express News on February 9th, 2018 that Mary Helen Dippo (Black) passed on in San Antonio, Texas. Ms. Dippo was 92 years old and was born in Jersey Shore, PA. Send flowers to express your sympathy and honor Mary Helen's life. It was revealed by The Daily Herald on October 29th, 2017 that Alessandra "Liz" Fowler passed on in Park Ridge, Illinois. Fowler was 92 years old and was born in Jersey Shore, PA. Send flowers to share your condolences and honor Alessandra "Liz"'s life. It was disclosed by Register Herald on August 28th, 2017 that Ronald Nelson Yellets passed away in Beckley, West Virginia. Yellets was 66 years old and was born in Jersey Shore, PA. Send flowers to express your sorrow and honor Ronald Nelson's life. It was disclosed on January 30th, 2017 that Ruth C Clark passed away in DeKalb, Illinois. Clark was 84 years old and was born in Jersey Shore, PA. Send flowers to express your sorrow and honor Ruth C's life. It was disclosed by Williamsport Sun-Gazette on February 10th, 2016 that Ferma Rae Buttorf (McKinney) passed away in Jersey Shore, Pennsylvania. Ms. Buttorf was 91 years old. Send flowers to share your condolences and honor Ferma Rae's life. It was reported by Williamsport Sun-Gazette on February 10th, 2016 that Judy L Stroup (Slaugenwhite) perished in Jersey Shore, Pennsylvania. Ms. Stroup was 72 years old. Send flowers to express your sympathy and honor Judy L's life. It was disclosed by Williamsport Sun-Gazette on February 9th, 2016 that Dennis W Weaver perished in Jersey Shore, Pennsylvania. Weaver was 58 years old. Send flowers to express your sorrow and honor Dennis W's life. It was reported by Williamsport Sun-Gazette on February 3rd, 2016 that Wade R Ulmer perished in Jersey Shore, Pennsylvania. Ulmer was 35 years old. Send flowers to express your sorrow and honor Wade R's life. Around the time that this was happening, a settlement arose on the eastern side of the West Branch Susquehanna River (Nippenose Township, Pennsylvania Township), opposite Waynesburg. He stopped one Sunday in Jersey Shore and for the most part never left. Jersey Shore was once a major player in the railroad industry. The company began manufacturing steel rails for the railroad industry. Colonel John Henry Antes arrived in 1772 and established a homestead (buildings) along the banks of Antes Creek. Welker Funeral Home, 125 N. Main St ... Memorial contributions may be made in his name to the Nippenose Bible Fellowship, 92 Schoolhouse Road, Jersey Shore, Pa. 17740. He is survived by his brothers and sisters, Cece Hagenbuch of Milton, Pa ... at the Shore Point Funeral Home and Cremation Service, Hazlet. Memorial donations may be made to the Meridian Hospice, 1345 Campus Parkway, Suite A2, Neptune, New Jersey 07753. Find a Funeral Home inJersey Shore, Pennsylvania PA to provide the caring burial and ceremonial services your family deserves. We work with local florists and flower shops to offer same day delivery. You will find budget sympathy flowers in Jersey Shore here. Our funeral flowers are cheap in price but not in value.